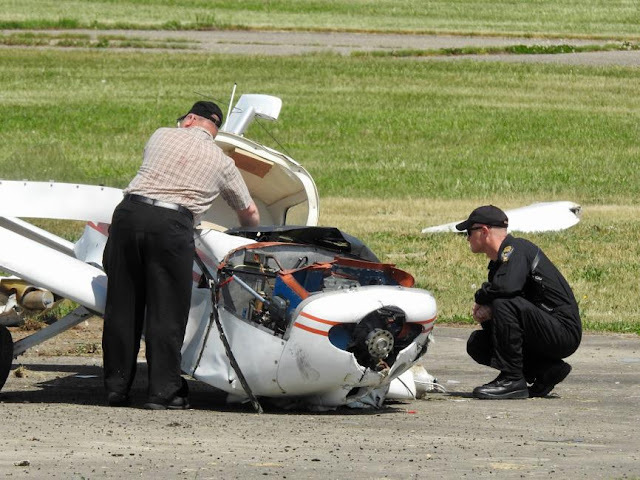 On May 15, 2018, about 0945 eastern daylight time, a Grumman American Aviation Corporation AA 1B airplane, N6550L, impacted terrain during a forced landing at the Butler County Regional Airport-Hogan Field (HAO), near Hamilton, Ohio, following a loss of engine power. The commercial pilot sustained serious injuries. The airplane received substantial wing and fuselage damage. The airplane was registered to an individual was registered to an individual and was operated by the pilot as a Title 14 Code of Federal Regulations Part 91 test flight. Day visual meteorological conditions prevailed in the area about the time of the accident, and the flight was not operated on a flight plan. The local flight was originating from HAO at the time of the accident. According to preliminary information, a witness heard the sound of the airplane's engine stop during the takeoff. The witness then saw the airplane return to the airport for a landing. The airplane impacted terrain during the landing where it sustained the substantial damage. At 0953, the recorded weather at HAO was: Wind variable at 5 kts; visibility 10 statute miles; sky condition clear; temperature 26° C; dew point 17° C; altimeter 29.93 inches of mercury. Aircraft Manufacturer: GRUMMAN AMERICAN AVN. 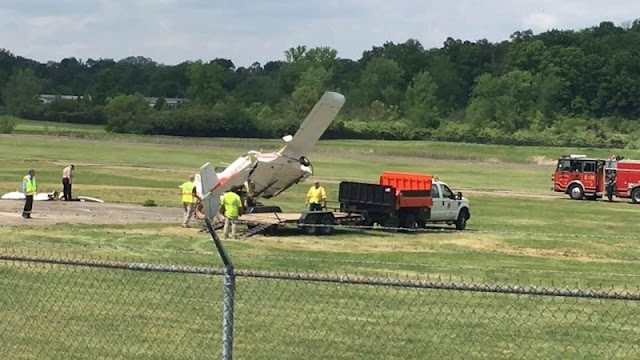 CORP.
HAMILTON — A Loveland man was piloting a single-engine plane Tuesday morning when it crashed about 100 yards from the runway at Butler County Regional Airport. 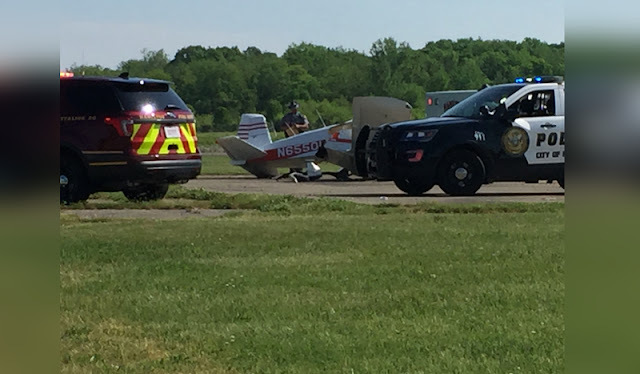 Henry Rosche III, 63, of Loveland, was injured in the crash when his 1974 Grumman plane experienced engine failure, according to Ohio Highway Patrol Lt. Clint Arnold, commander of the Hamilton Post. The investigation is ongoing, but preliminary results show the plane was about 500 feet in the air when its engine stopped. The pilot turned to attempt an emergency landing, but failed to return to the runway. Witnesses said the plane went sideways, then crashed, but never caught fire. 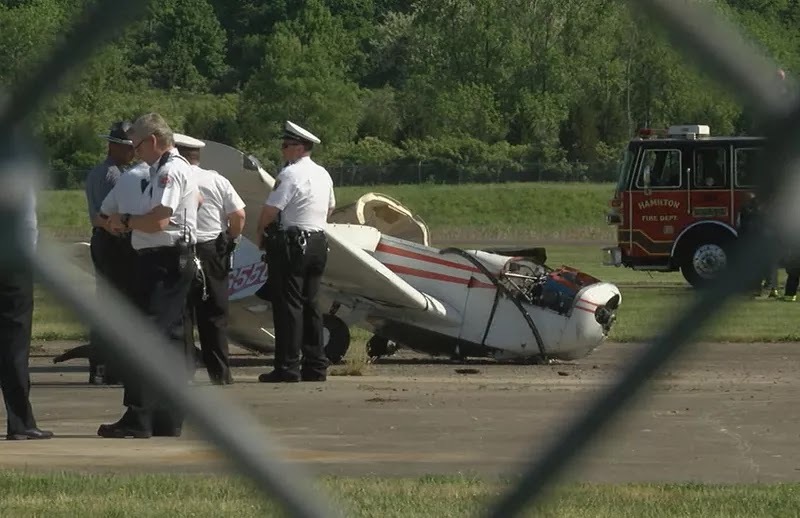 Rosche, who was the only person in the plane, was extricated by Hamilton fire crews and airlifted to University of Cincinnati Medical Center, according to Hamilton Fire Chief Mark Mercer. Those at the scene said Rosche was breathing but not conscious when they reached him. The caller told the 911 dispatcher he was reaching into the plane’s cockpit to get Rosche’s vital signs. Later in the call as Air Care arrived, Rosche seemed to be “coming to” as emergency responders could be heard telling him repeatedly not to move. Brenda Deborde said she witnessed the crash while driving her son to work. She saw the plane flying “sideways” and said that’s when she told her son it was going to crash. 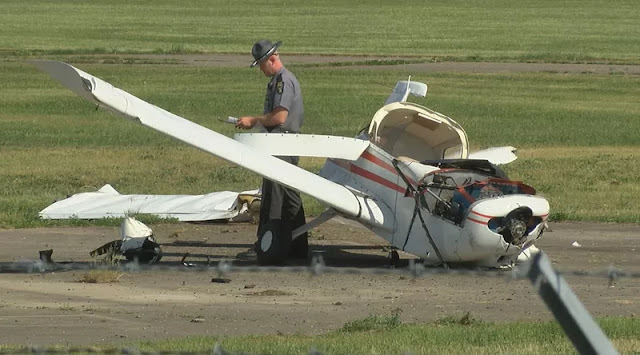 FAIRFIELD TOWNSHIP, OH (FOX19) - A man was injured in a plane crash at the Butler County Regional Airport in Hamilton, fire officials said. Emergency crews responded after the plane crashed around 9:45 a.m. Tuesday. City of Hamilton Fire Chief Mark Mercer said the plane's engine stopped just after take off and the pilot attempted to turn around and land the plane. “Shortly after takeoff the engine for the plane quit, the pilot circled back but was unable to land on the runway. 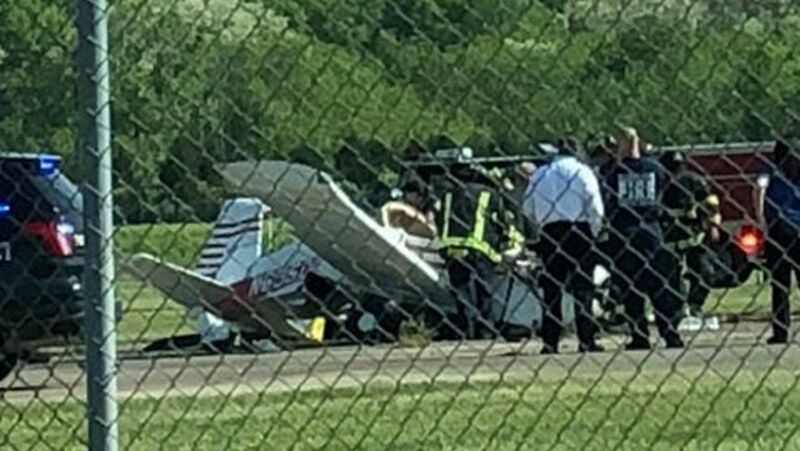 The pilot was removed from the plane by Hamilton fire crews and was treated by Hamilton paramedics and University flight crew, then transported by UC Air Care to University of Cincinnati Hospital.” Mercer said. A witness to the crash said she saw the plane going sideways before crashing. “I seen the plane going sideways and I told my son, I said ‘he’s getting ready to hit’ and about that time it hit and when it did pieces started flying off and you see a little bit of black dust. Well I come on up, right up this way, and I call 911 and I looked to see if I could see anybody and I couldn’t see nobody.” the witness said. She said she was scared for the man inside the plane. “It’s scary cause I didn’t know. I didn’t know if they was laying in there dead, how many was in there, and I couldn’t get through the fencing to go check on them.” she said. Mercer said the man had to be cut out of the plane using extrication tools. Crews cut away pieces of the plane so the pilot could be removed without any further injuries. Officials are unsure of what type of plane it was but said it was a single engine, small plane with one occupant. Mercer said flight staff saw the plane turning back toward the runway and as far as he knows there was no flight plan filed. The airport has seen very few crashes and very few engines, Mercer said. He said the Butler County Regional Airport has a great safety record. There's no word on the extent of the man's injuries or his identity. BUTLER COUNTY, Ohio — A small plane crashed Tuesday morning at the Butler County Regional Airport, dispatchers confirm. 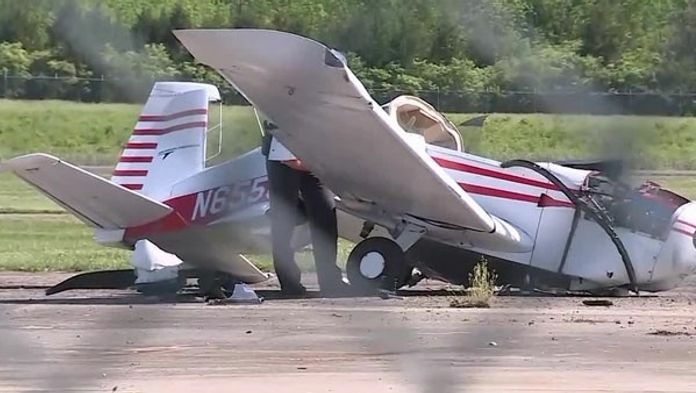 The single-engine AA-1B plane crashed on the runway during takeoff around 10 a.m., officials said. The pilot was the only person on-board, and had to be extricated from the wreckage. The pilot was flown to University of Cincinnati Medical Center, where his condition is unknown. His name has not been released. 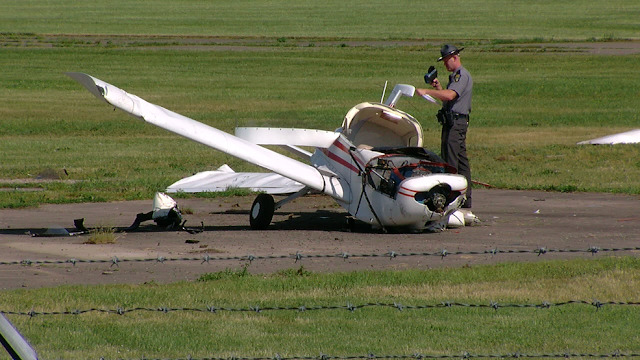 According to crash investigators, the pilot was taking off when his plane had engine issues. The plane went down as the pilot tried to circle back to land. “(We’ve had) very few crashes, very few instances here at the airport. Great safety record,” said Hamilton Fire Chief Mark Mercer. The airport’s runways are in the city of Hamilton, therefore Mercer’s teams were the first on scene. “We had to cut out little pieces of the plane so we could remove the pilot without any more injuries," Mercer said. The Butler County Regional Airport is a small airport owned by the Butler County Board of Commissioners. Most planes that take off or land at the airport are single-engine planes. Mercer said the pilot was conscious and breathing when he was flown to the hospital. BUTLER COUNTY, Ohio (WKRC) - A small plane crashed at the Butler County Regional Airport Tuesday morning. A medical helicopter took the pilot to UC Medical Center. The plan crashed at about 9:45 a.m. at the airport. It ended up on its top. Investigators said the engine quit shortly after takeoff. He circled back but was unable to land. Only the pilot was in the plane. He was trapped inside the plane until firefighters got him out. There is no word on his condition. Federal investigators are looking into the crash.